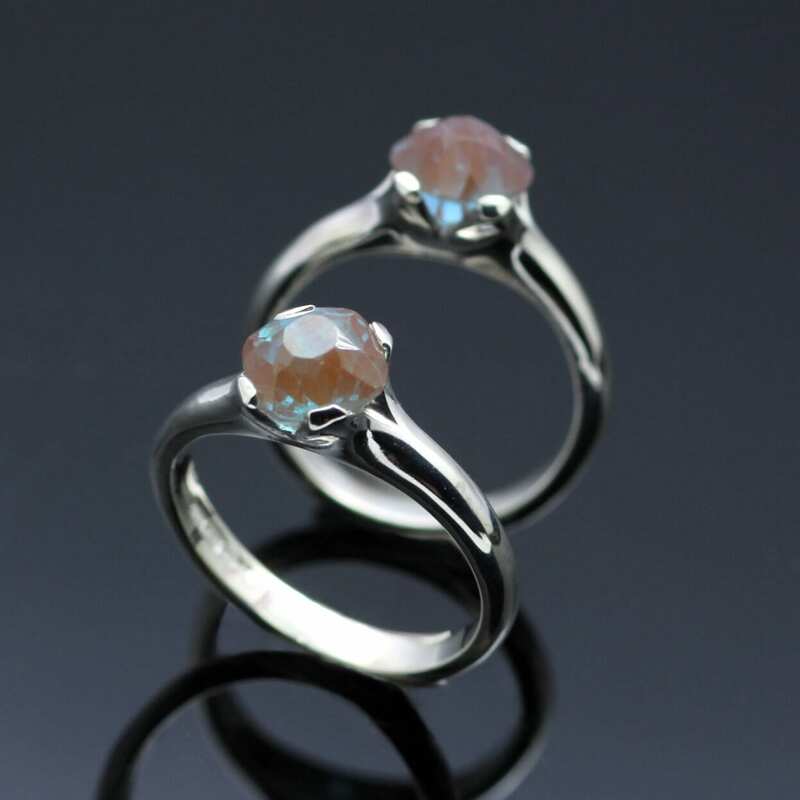 This beautiful pair of matching gemstone and Sterling Silver cocktail rings have been designed in collaboration with a special client as part of the bespoke services offered by Julian Stephens. Inspired by the Flower and Cocktail ring collections by Julian Stephens this modern pair of cocktail or dress rings were commissioned to create a contemporary setting for this pair of mysterious gemstones provided by a special client. Despite undergoing several tests in house and seeking expertise from fellow Jewellers we were sadly unable to identify the specific gemstones, they are never the less made all the more beautiful in their sleek new settings. 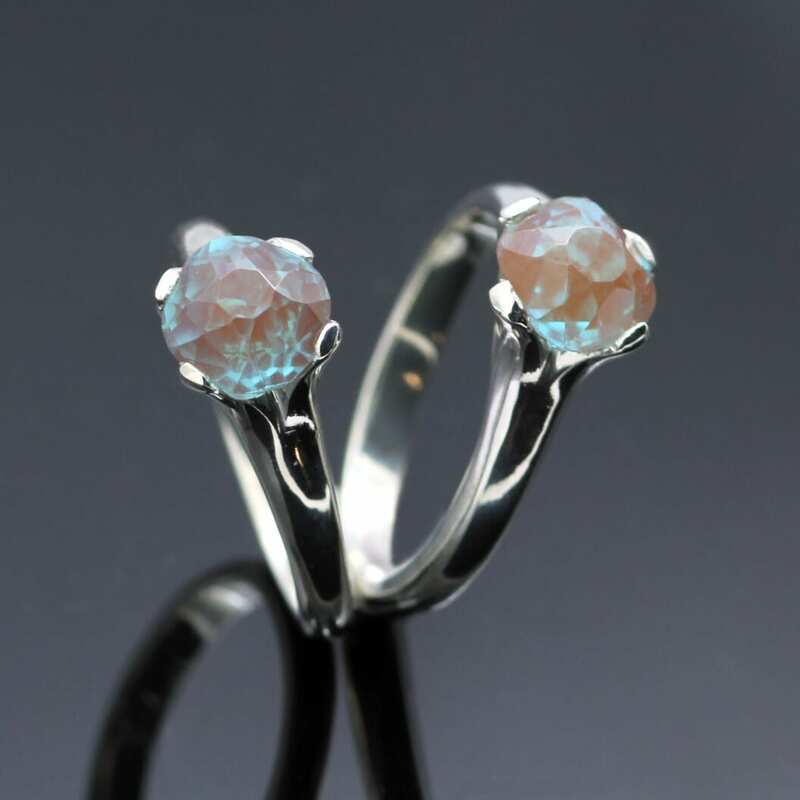 Clean, modern lines of solid Sterling Silver are used to create a deceptively simple claw setting which holds each mystery stone securely in place, allowing a much light to pass through the gemstones enhancing their natural (and mysterious) beauty.